BT could face fines from Ofcom if it does not fix faults in its telephone and broadband services fast. 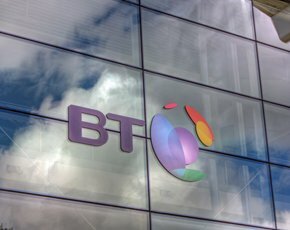 The telecoms regulator today announced new rules for both repairs and installations to BT’s Openreach infrastructure, specifically for wholesale line rental and metallic path facilities – where other ISPs put equipment into BT exchanges and provide their own voice and broadband services. The rules would mean consumers and businesses coming across issues with their telephone or broadband service should have them fixed within two days. Also, those requesting a new line from BT should be able to get an appointment within 12 working days. “Ofcom is concerned about the time it can take for Openreach to complete this work,” the regulator said in a statement. “The problem was most acute during 2012, when installations and repairs were to some extent hampered by extremely wet weather conditions. Ofcom expects BT to hit this target with 80% of its customers, allowing up to 3% leeway if extreme external factors beyond the firm’s control hamper their efforts from repairs. However, with installations the margin for error is just 1%. The company will be monitored for a year by Ofcom and expected to give data of any time it misses the mark. Then, at the end of the 12 months, BT Openreach would face sanctions from the regulator if it failed to reach the targets, which it said could involve fines. However, Ofcom expects these standards to be met by April 2016 and will set further targets in the meantime to ensure BT continues to up its game. BT’s fibre network is exempt from the new regulation, as Ofcom believes it has already met or exceeded its service level agreements. But it warned it would be willing to put in similar rules in the future if performance became a concern.